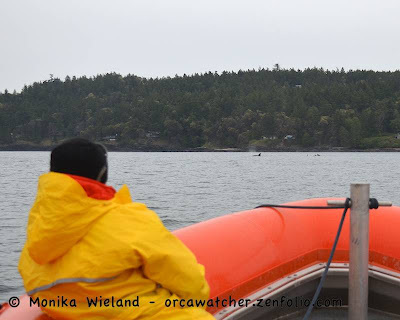 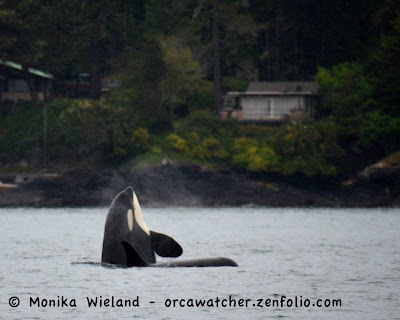 On Wednesday, May 15th around noon us Salish Sea whale watchers got the news we've been waiting for for weeks: resident orcas inbound off Victoria! 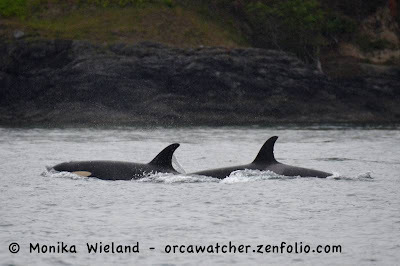 The Southern Residents can and often are seen in the area every month throughout the year, but around April or May we expect sightings to start happening more often and continue regularly through September. 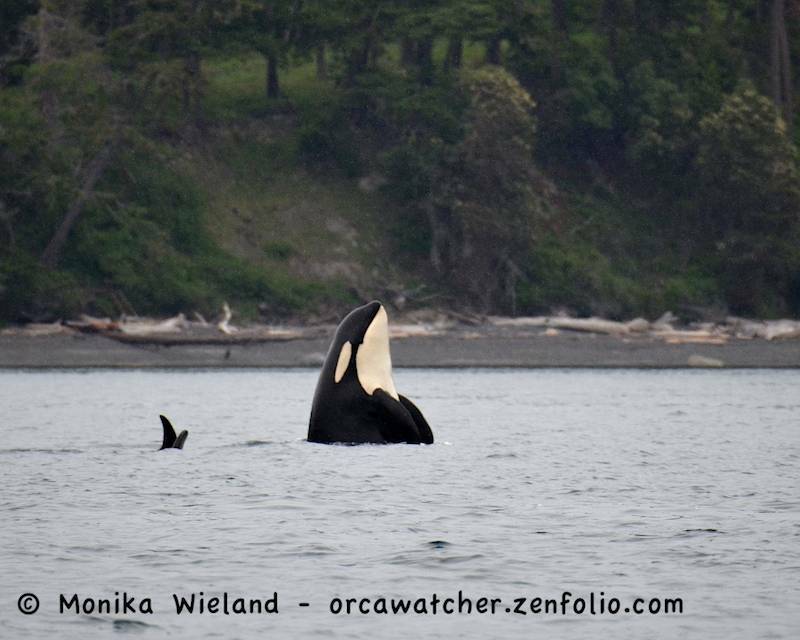 I remember in 2005 someone telling me they thought April was one of the best whale-watching months here, with J-Pod on the west side of San Juan Island just about every day. Last year sightings were minimal in April and May, and this year there weren't any from March 10th off Campbell River until May 15th, the latest ever return for the whales in the spring. Perhaps a sign of the changing times and ocean conditions out there! 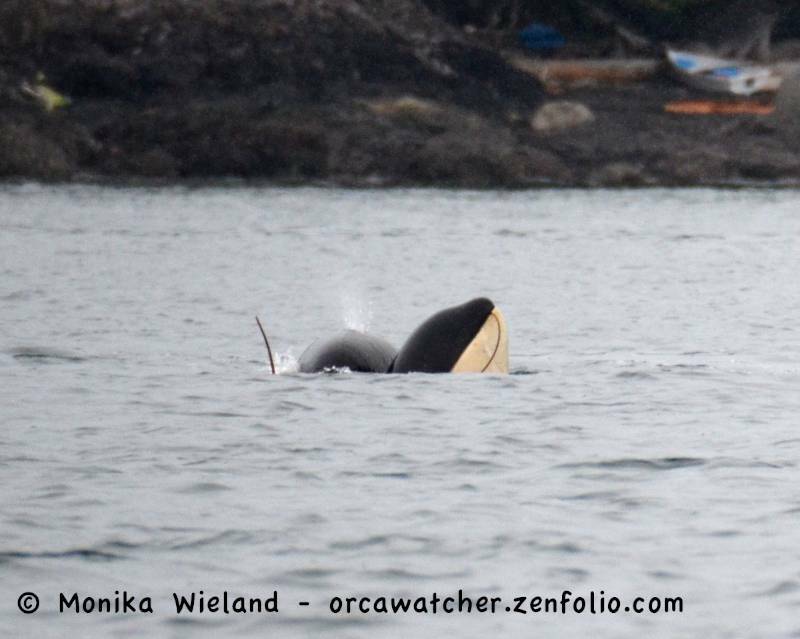 Even better, they all seemed to be in great body condition (nice and fat), so hopefully wherever they've been hanging out they've been finding lots and lots of salmon! 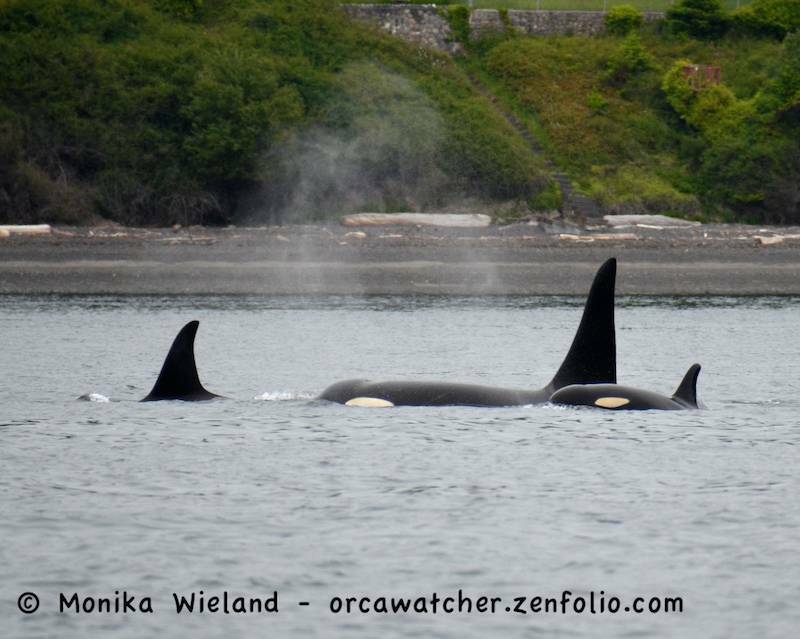 Luckily I only had to work a half day at work, so after lunch I went out to the west side of San Juan Island to look for the whales coming across Haro Strait. 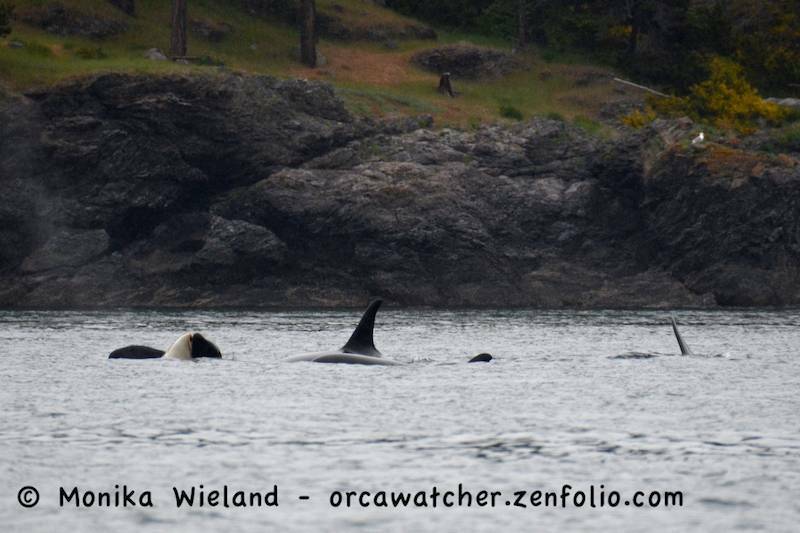 They were making slow progress as I saw a few of them just round the tip of Discovery Island. Often they pick up speed and jet across Haro Strait, but that wasn't the case today. 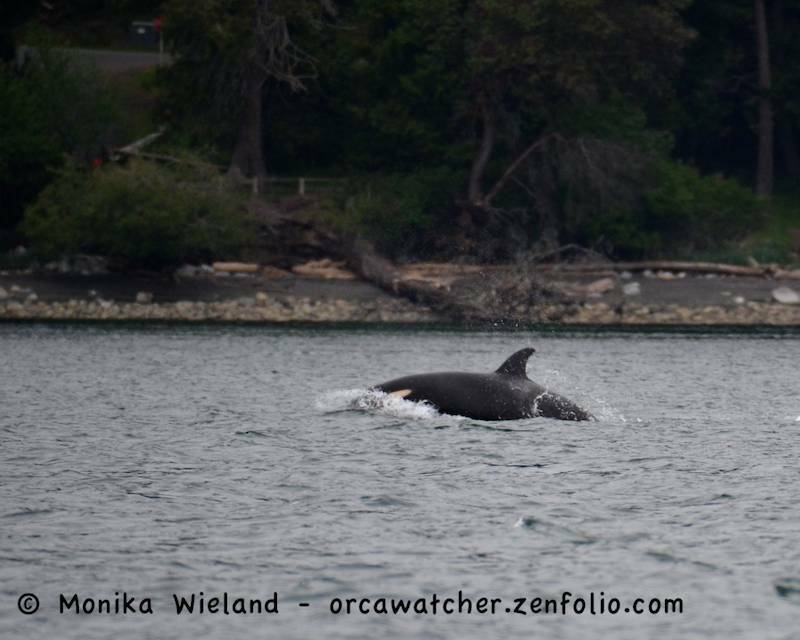 Luckily I heard from a friend that the naturalists at Western Prince, where I used to work, were just as keen to see J-Pod as I was. 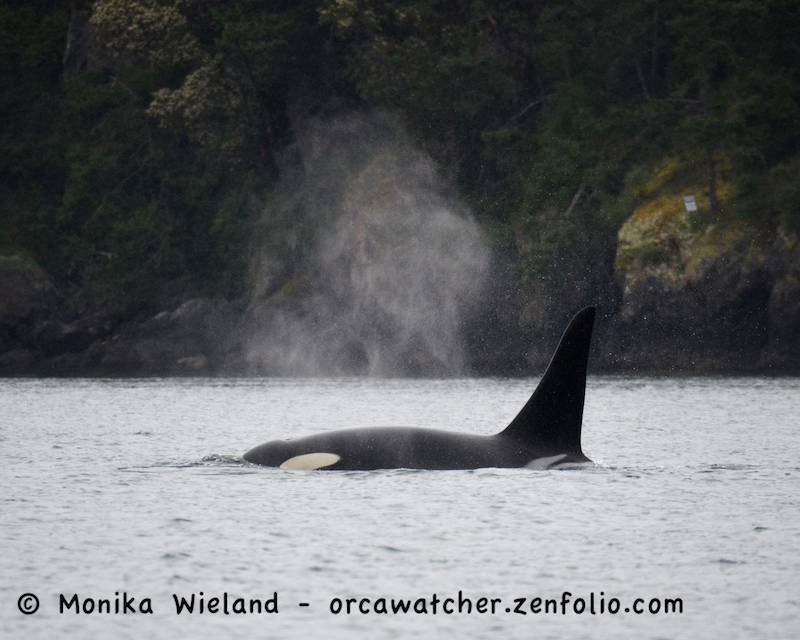 We all chipped in some gas money and the captain took us out for a late afternoon cruise aboard the zodiac-style Western Explorer. 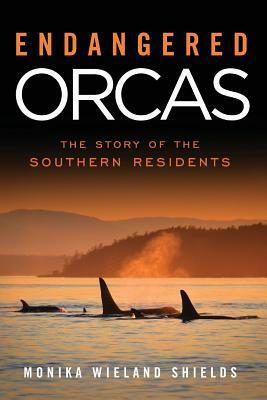 I met them in town, we suited up in mustang suits, and off we went around the north end of the island. 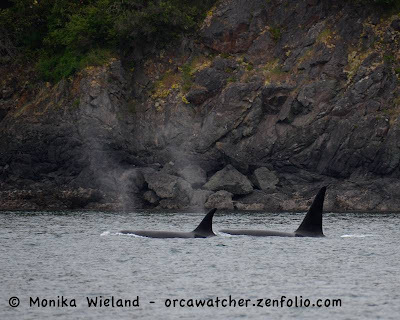 We met up with the whales north of Lime Kiln Point State Park in Haro Strait. The first animals we saw were members of the J16 and J14 matrilines. 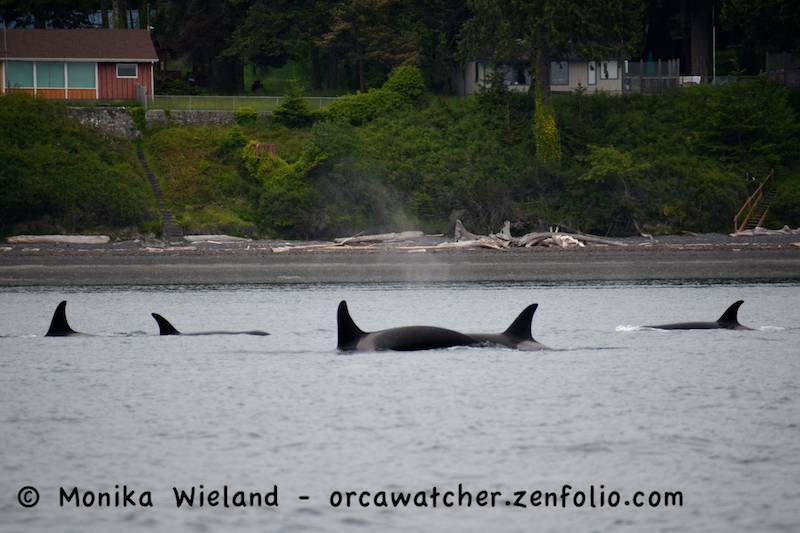 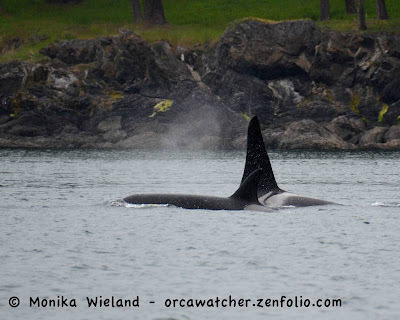 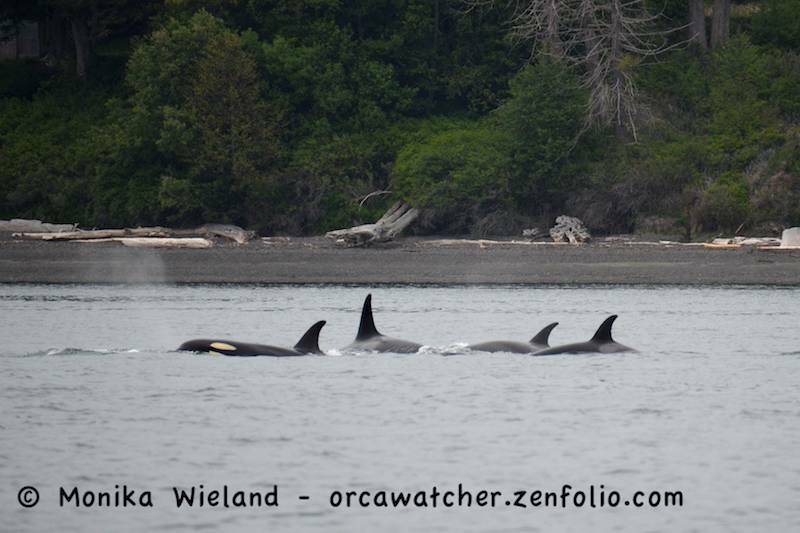 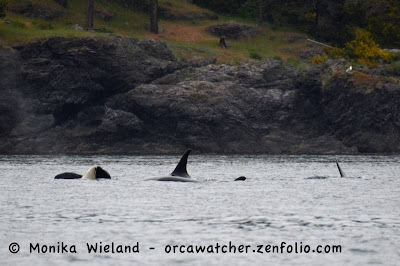 Throughout the early evening we would get to see just about every animal in J-Pod. 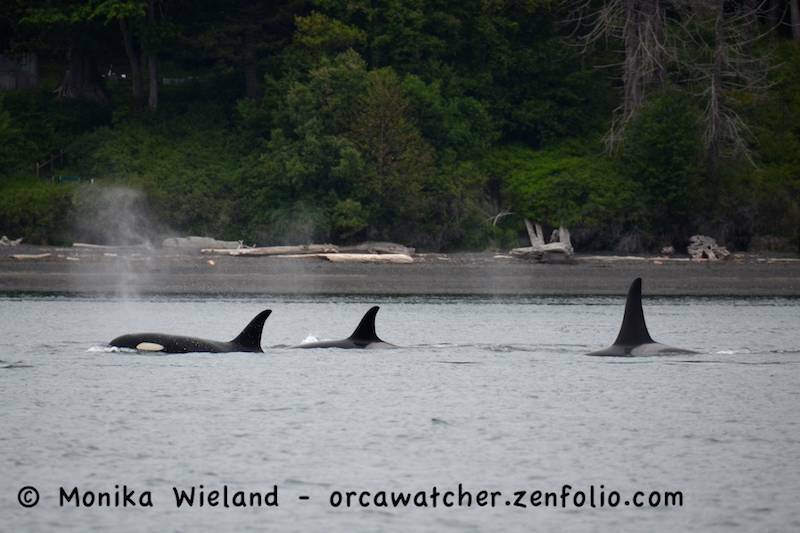 While unfortunately I didn't actually see J2 Granny or J8 Spieden myself, their presence was confirmed. After the first few whales passed by, we spotted another, larger group a little ways behind them. 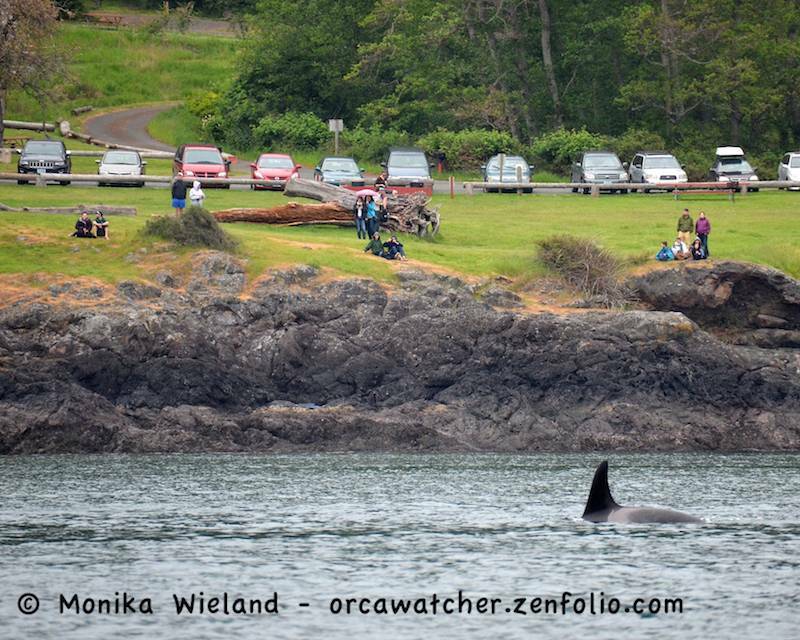 The whales were fairly close to shore as they made their was up San Juan Island, wowing visitors at both Lime Kiln and then here at San Juan County Park. 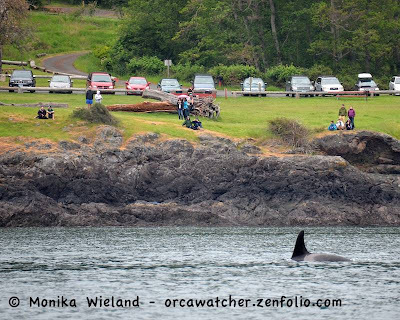 It was amazing to see a full parking lot there this time of year - word spreads fast when the whales come back! 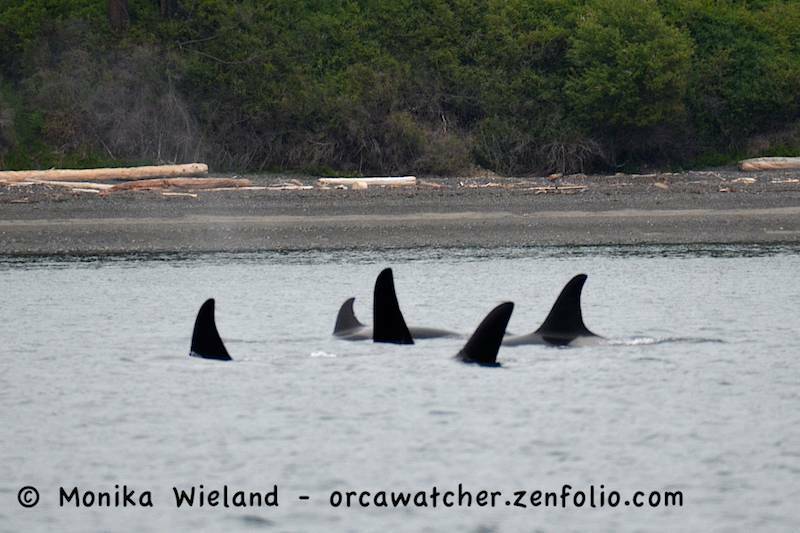 This group was traveling pretty tightly together, meaning at times there were lots of dorsal fins up at once - a sight I love! 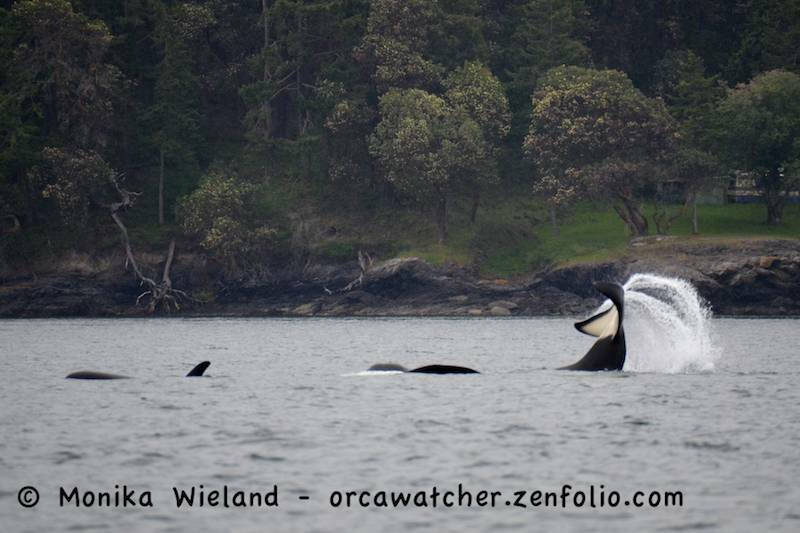 Sure it's anthropomorphizing a bit, but the whales seemed happy to be back. 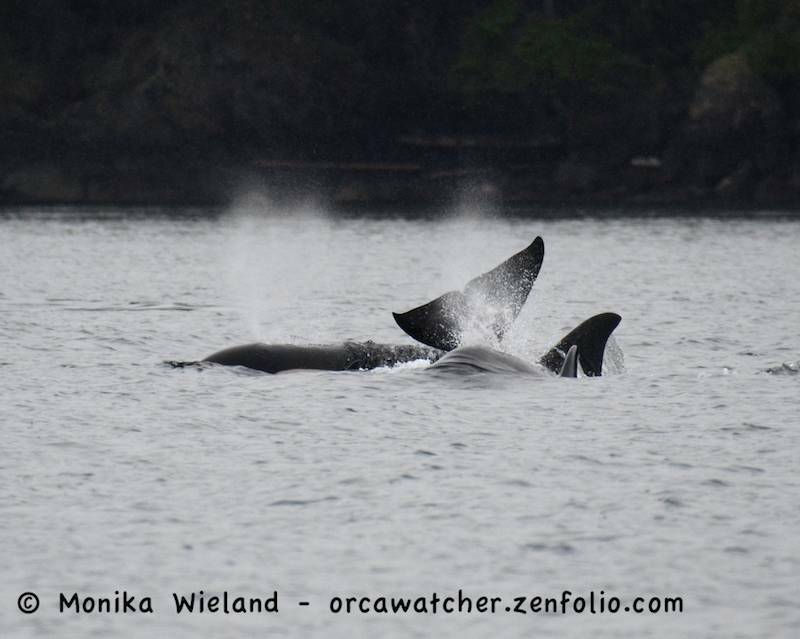 They certainly weren't in a hurry to go anywhere and were doing lots of spyhopping, tail slapping, and rolling around at the surface. We dropped the hydrophone in and heard lots of great underwater vocalizations, and on numerous occasions when the whales were logging at the surface we heard some above water vocals too! 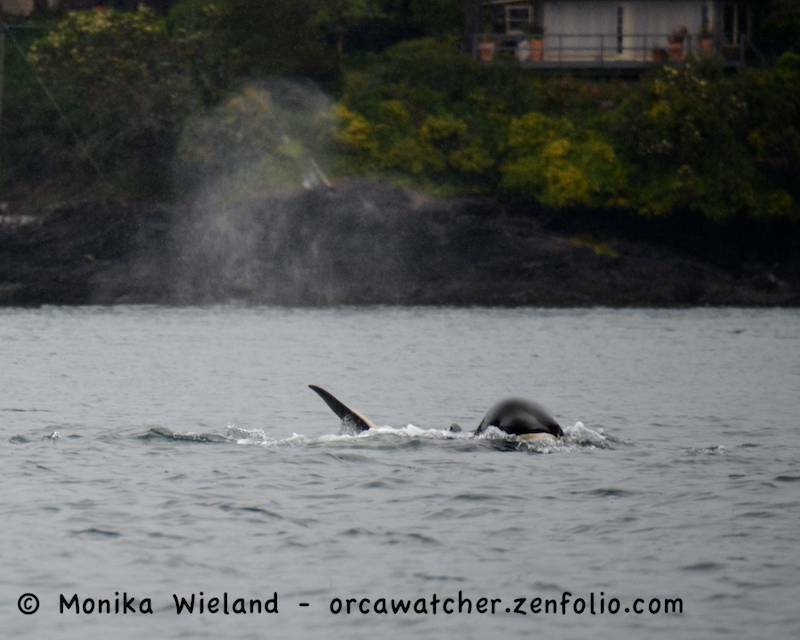 It's really hard to capture in photos what it was like to watch these whales just goofing around at the surface! I love the more abstract whale photos - many times those are my favorite shots, the sort where unless you're really familiar with the whales you're not even sure what you're seeing. 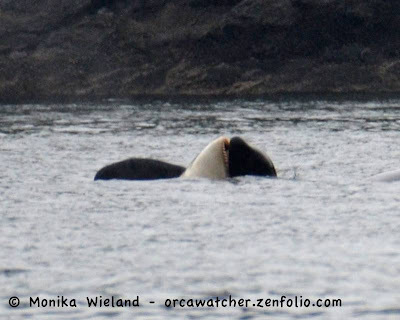 Can you sort out the body parts of the three whales in this shot? 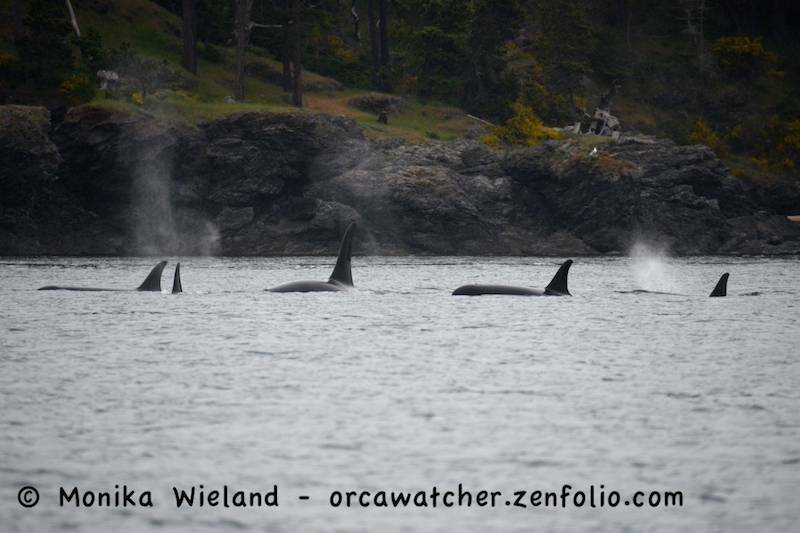 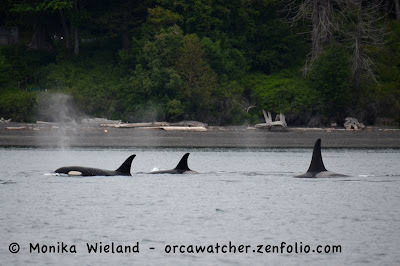 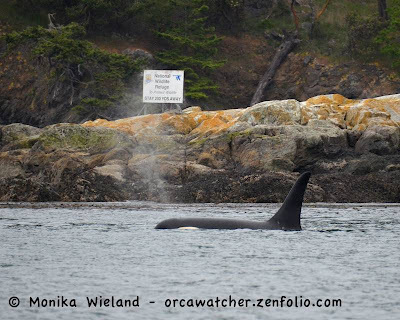 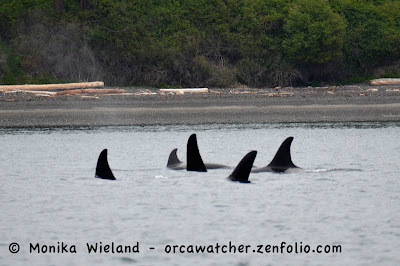 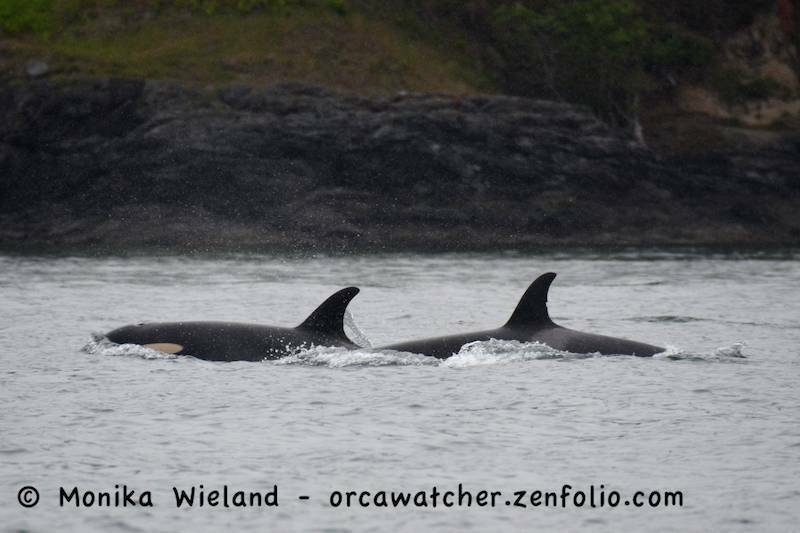 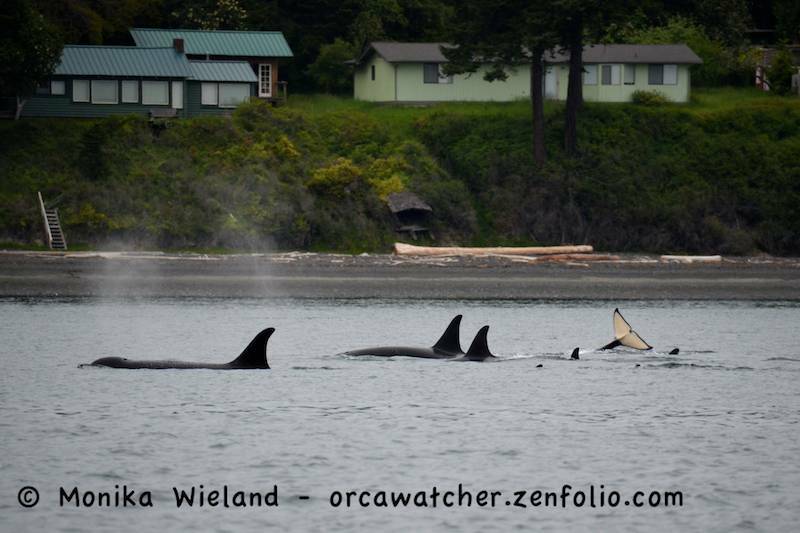 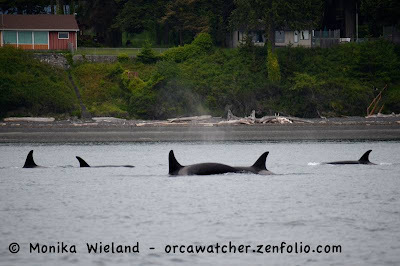 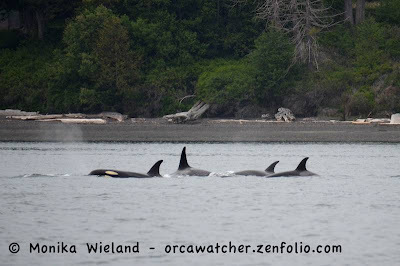 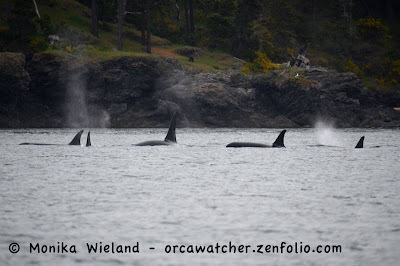 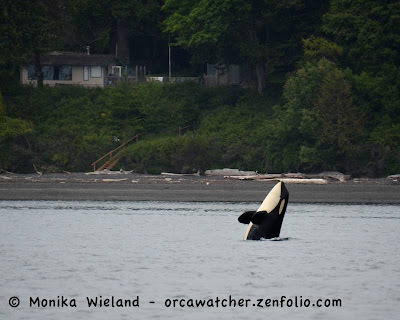 On Thursday J-Pod pulled a disappearing act again and they weren't seen, but word is now on Friday afternoon that they're on the west side of San Juan Island right now - so off I go to try and catch up with them again! Now the summer season in the San Juans can really begin! 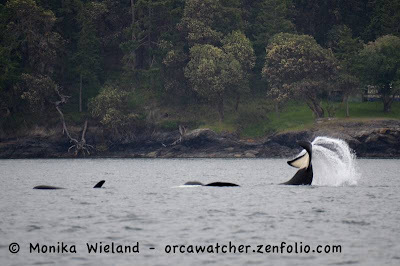 I'm so thrilled you got to see the "return of the whales" and I loved seeing all the photos. May you have many more exciting encounters this summer!